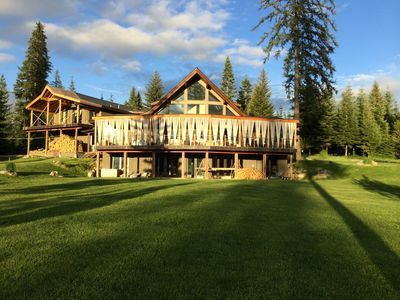 This Montana lodge home was built in 2007. 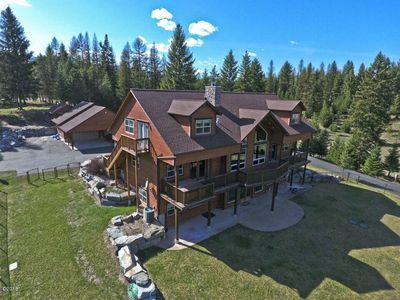 Has a true authentic Montana feel and is located in it’s natural private setting with wildlife often seen wandering in the yard. 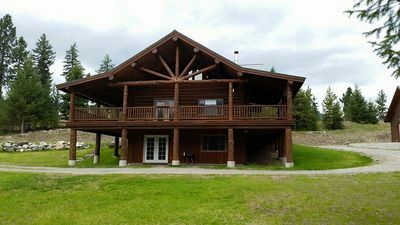 Covered patio deck that overlooks the Noxon Reservoir for the perfect days and nights to enjoy the view by the fire pit or BBQ on the outdoor propane grill. The Noxon reservoir is just a few minutes stroll across the road. 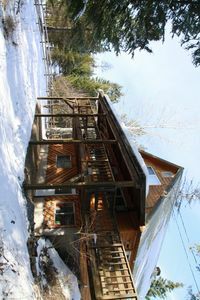 (Update: The original listing of the cabin was rented with access to only 2 floors for guests use, which included 5 bedrooms. Now, all 3 floors of the home have been opened up to the guests, which includes 7 bedrooms. 2 double over double bunkbeds that can sleep up to 8+ people. There is also a small refrigerator, bar sink. 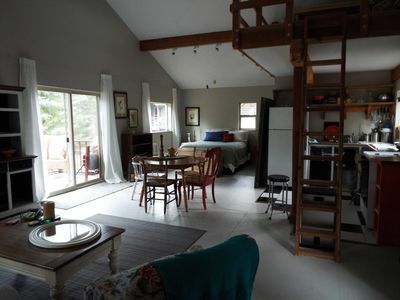 2nd floor sleeps 4+ with 1 king bedroom and queen size bedroom. 1st floor. 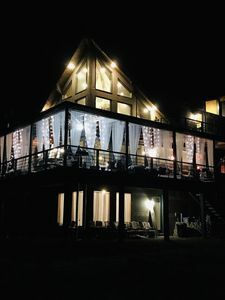 sleeps 6+ with 1 king bedroom, 2 double beds in another bedroom. 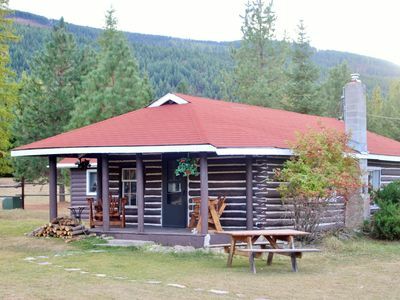 Kitchen is equipped with a restaurant stove, single oven and a large griddle top. Perfect for large crowds, family reunions or weddings. Large freezer in pantry. Marble countertops & food prep island. 2 sinks, dishwasher. Equipped with cooking utensils, pots and pans, serving dishes and just about all the spices you need. The main floor is one large open space with lots of seating. The home exterior is cement board siding as pictured in the listing. 14" netted trampoline and other outdoor yard games. 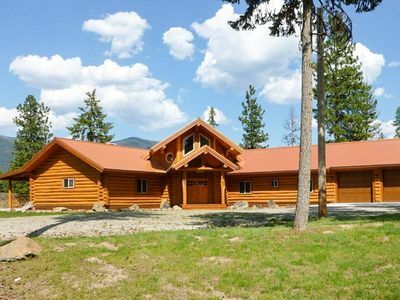 This home is centrally located between Sandpoint Idaho and Hot Springs, Montana just off Mt Hwy. 200. Just close by is Rock Creek hiking trails. Trout & Bass fishing, boating, swimming right across the road. 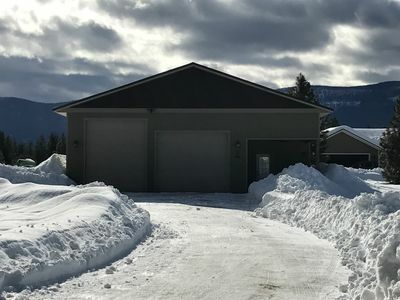 For a one hour drive is Sweitzer Ski Resort in Sandpoint, Idaho which in the summer with there are many shops and restaurants and enjoy skiing there in the winter. Glacier National Park is approximatley a three hour drive away. Close by you can also enjoy rafting, horseback riding in the vicinity. Additionally, multiple restaurants are only 15 minutes away from your doorstep. Lakeside restaurant, Wayside Bar and Lounge also has great dinning. Naughty Pine restaurant also has great food and a nice bar lounge. Noxon just about 10 minute drive is Triangle Pond a great place for fishing and swimming. 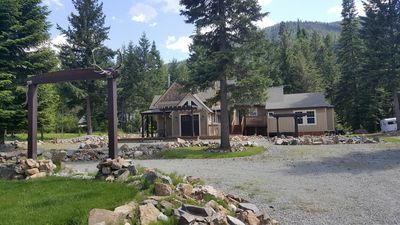 For a 25 minute drive into Thompson Falls there are many more restaurants and local shops for you to enjoy on your perfect Montana vacation. If you have any further questions regarding this property and need to get a response as soon as possible, you email me through VRBO and I will try to get back to you as soon as possible. The homes managers/caretakers are nearby the property if needed. Note: Due to balconies, decks and stairs, children should not be left unattended. 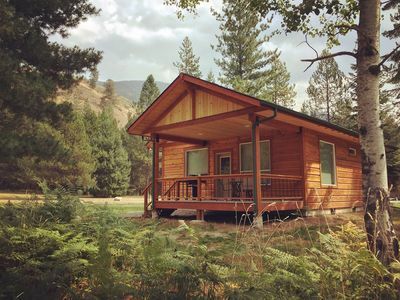 The Natural Beauty Of The Great Outdoors With Great Cabin Amenities! 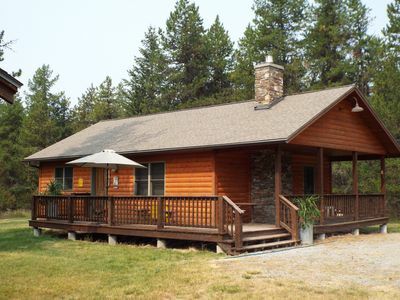 Trout Creek Montana with the big sky and scenic wildlife all around you. 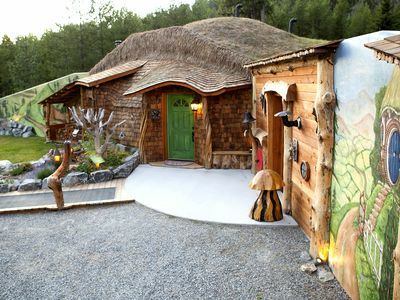 Hideaway Cabin. 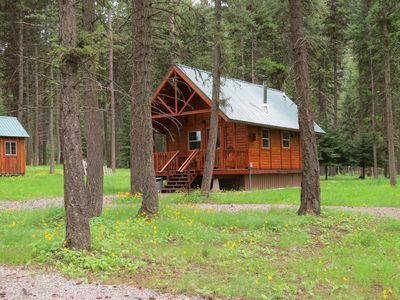 Outstanding Fishing, Hiking, Biking And Hunting Opportunities. 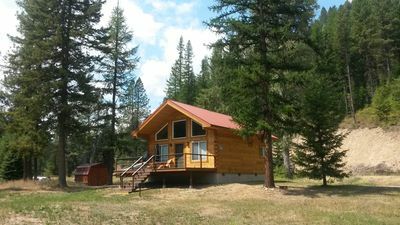 Peaceful B&B on 40 acres near Thompson Falls, Montana. Great little cabin in woods. Bright open and airy studio with loft behind the creeks.